All CRYSTAL LAKES homes currently listed for sale in St. George as of 04/19/2019 are shown below. You can change the search criteria at any time by pressing the 'Change Search' button below. 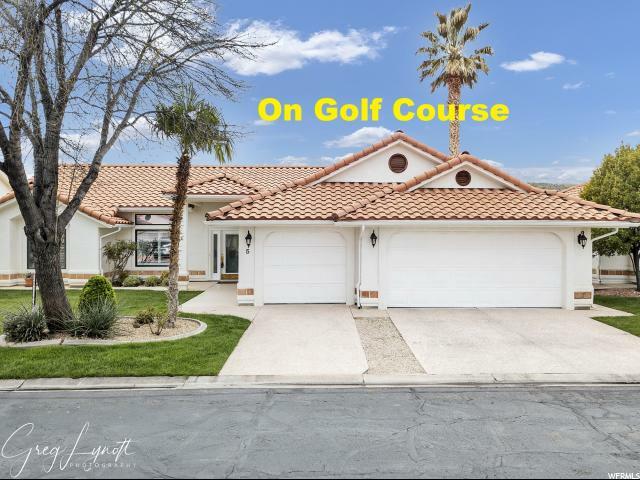 "Beautiful home literally on the Sunbrook Golf Course with large windows to enjoy the amazing golf course & mountain views. Split floor plan where owner's bedroom is on one side, and two guest bedrooms on the opposite. Very open & light w/ tall ceilings. Two covered patios; one off dining/great room & one off master bedroom. Large master suite w/ jetted tub & walk-in shower, double vanity & makeup vanity, walk-in closet. Nice 3-car garage w/ built in cabinets, water softener & R/O, central vacuum & hose, shutters & shades, lots of countertop space in kitchen w/ window above the sink that looks out to the golf course. Indoor & outdoor community pools, clubhouse, full yard maintenance, and much more!"